Rittman Mead have today launched it's new Oracle Analytics Cloud (OAC) Bootcamp. Run on OAC, the course lasts four days and covers everything you need to know in order to manage your Cloud BI platform and assumes no prior knowledge up-front. As the course is modular, you are able to choose which days you'd like to attend. Day 1 covers an OAC overview, provisioning, systems management, integration and security. Day 2 covers RPD Modelling and Data Modeller. Day 3 is devoted to creating reports, dashboards, alerts and navigation. Day 4 covers content creation using Oracle Data Visualization. 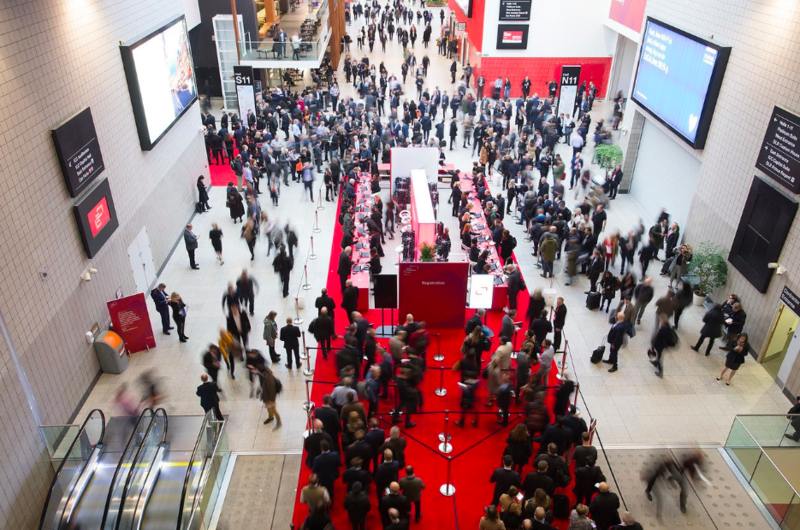 Some eleven thousand people descended on Oracle OpenWorld Europe in London last week for two days of business and technical sessions delivered by a mixture of members of Oracle’s product team and end users giving real-world case studies of adoption of Oracle’s Cloud offerings and product roadmaps. Something that may not surprise anyone is that at OpenWorld, to speak of anything other than Cloud or Autonomous would be somewhat blasphemous. It’s a shrewd move this by Oracle to branch outside of their flagship annual conference held in Redwood Shores in October and the attendance backed up the rationale that offering free entry was the right thing to do. Oracle’s Autonomous Database offering is being heavily pushed despite being a relatively immature product with very few real-world examples yet. The concept is certainly valid and it’s worth new and existing customers of Oracle seriously considering trialling. There are two autonomous offerings. The autonomous data warehouse (ADW) and autonomous transaction processing (ATP). Further more Oracle's 2018 acquisiton of DataScience.com show's the strategic vision of the companies board. Also picking up on the cyber security side of things, Oracle spoke a lot about the role that Blockchain will play in enterprises going forwards. Oracle’s Blockchain cloud platform offering gives enterprises a rapid and simplified deployment of blockchain networks. In summary, this was a really good event for Oracle to run and I really hope they continue to do so. It gave a chance for the Oracle community to come together again and in a growingly competitive market for Cloud, Oracle needs to keep investing in its community going forwards. Conceptually Oracle has some very timely cloud offerings in their armoury and it will be interesting to come back in 12 months time and see how the adoption of these applications & platforms is going. 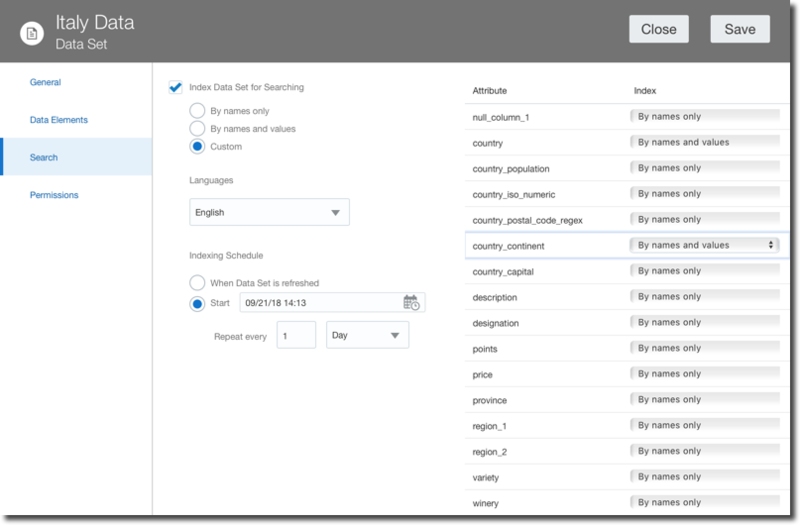 I believe there is a hidden strategy behind Oracle's product release schedule: every time I'm either on holidays or in a business trip full of appointments a new version of Oracle Analytics Cloud is published with a huge set of new features! OAC 18.3.3 went live last week and contains a big set of enhancements, some of which were already described at Kscope18 during the Sunday Symposium. New features are appearing in almost all the areas covered by OAC, from Data Preparation to the main Data Flows, new Visualization types, new security and configuration options and BIP and Essbase enhancements. Let's have a look at what's there! A recurring theme in Europe since last year is GDPR, the General Data Protection Regulation which aims at protecting data and privacy of all European citizens. This is very important in our landscape since we "play" with data on daily basis and we should be aware of what data we can use and how. Luckily for us now OAC helps to address GDPR with the Data Preparation Recommendations step: every time a dataset is added, each column is profiled and a list of recommended transformations is suggested to the user. Please note that Data Preparation Recommendations is only suggesting changes to the dataset, thus can't be considered the global solution to GDPR compliance. Each of the suggestion applied to the dataset is stored in a data preparation script that can easily be reapplied if the data is updated. Data Flows is the "mini-ETL" component within OAC which allows transformations, joins, aggregations, filtering, binning, machine learning model training and storing the artifacts either locally or in a database or Essbase cube. The dataflows however had some limitations, the first one was that they had to be run manually by the user. 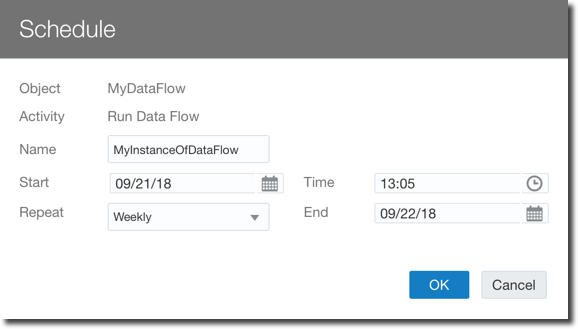 With OAC 18.3.3 now there is the option to schedule Data Flows more or less like we were used to when scheduling Agents back in OBIEE. Another limitation was related to the creation of a unique Data-set per Data Flow which has been solved with the introduction of the Branch node which allows a single Data Flow to produce multiple data-sets, very useful when the same set of source data and transformations needs to be used to produce various data-sets. Two other new features have been introduced to make data-flows more reusable: Parametrized Sources and Outputs and Incremental Processing. The Parametrized Sources and Outputs allows to select the data-flow source or target during runtime, allowing, for example, to create a specific and different dataset for today's load. In the target dataset define if the Incremental Processing replaces existing data or appends data. Please note that the Incremental Load is available only when using Database Sources. Another important improvement is the Function Shipping when Data Flows are used with Big Data Cloud: If the source datasets are coming from BDC and the results are stored in BDC, all the transformations like joining, adding calculation columns and filtering are shipped to BDC as well, meaning there is no additional load happening on OAC for the Data Flow. Lastly there is a new Properties Inspector feature in Data Flow allowing to check the properties like name and description as well as accessing and modifying the scheduling of the related flow. Now is possible to use OAC to replicate data from a source system like Oracle's Fusion Apps, Talend or Eloqua directly into Big Data Cloud, Database Cloud or Data Warehouse Cloud. This function is extremely useful since allows decoupling the queries generated by the analytical tools from the source systems. As expected the user can select which objects to replicate, the filters to apply, the destination tables and columns, and the load type between Full or Incremental. In the Map views, Multiple Map Layers can now be added as well as Density and Metric based HeatMaps, all on top of new background maps including Baidu and Google. Tooltips are now supported in all visualizations, allowing the end user to add measure columns which will be shown when over a section of any graph. The Explain feature is now available on metrics and not only on attributes and has been enhanced: a new anomaly detection algorithm identifies anomalies in combinations of columns working in the background in asynchronous mode, allowing the anomalies to be pushed as soon as they are found. A new feature that many developers will appreciate is the AutoSave: we are all used to autosave when using google docs, the same applies to OAC, a project is saved automatically at every change. Of course this feature can be turn off if necessary. Another very interesting addition is the Copy Data to Clipboard: with a right click on any graph, an option to save the underline data to clipboard is available. The data can then natively be pasted in Excel. Did you create a new dataset and you want to repoint your existing project to it? 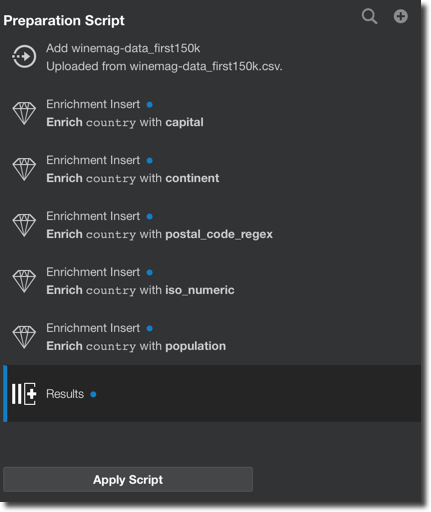 Now with Dataset replacement it's just few clicks away: you need only to select the new dataset and re-map all the columns used in your current project! The datasets/dataflows/project methodology is typical of what Gartner defined as Mode 2 analytics: analysis done by a business user whitout any involvement from the IT. The step sometimes missing or hard to be performed in self-service tools is the publishing: once a certain dataset is consistent and ready to be shared, it's rather difficult to open it to a larger audience within the same toolset. New OAC administrative options have been addressing this problem: a dataset Certification by an administrator allows a certain dataset to be queried via Ask and DayByDay by other users. There is also a dataset Permissions tab allowing the definition of Full Control, Edit or Read Only access at user or role level. This is the way of bringing the self service dataset back to corporate visibility. A Search tab allows a fine control over the indexing of a certain dataset used by Ask and DayByDay. There are now options to select when then indexing is executed as well as which columns to index and how (by column name and value or by column name only). BI Publisher was added to OAC in the previous version, now includes new features like a tighter integration with the datasets which can be used as datasources or features like email delivery read receipt notification and compressed output and password protection that were already available on the on-premises version. There is also a new set of features for Essbase including new UI, REST APIs, and, very important security wise, all the external communications (like Smartview) are now over HTTPS. 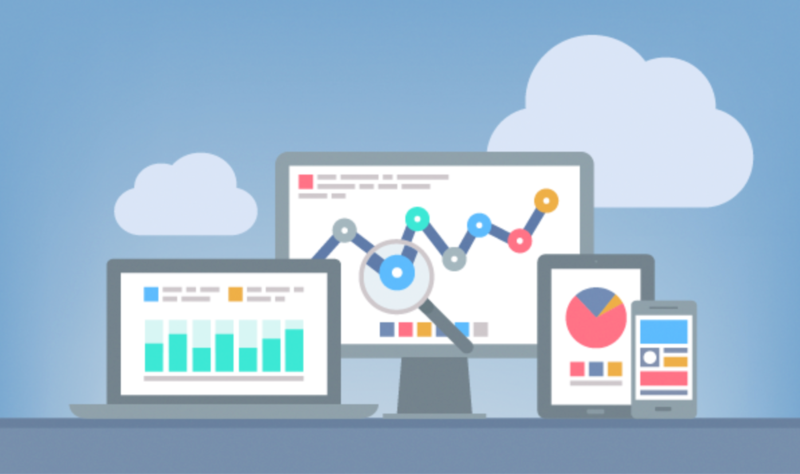 OAC 18.3.3 includes an incredible amount of new features which enable the whole analytics story: from self-service data discovery to corporate dashboarding and pixel-perfect formatting, all within the same tool and shared security settings. Options like the parametrized and incremental Data Flows allows content reusability and enhance the overall platform performances reducing the load on source systems. One of the great things of working with Oracle is the possibility to try things out………., for free. Yes, some things at Oracle are indeed free !! There are various places where you can download Oracle (related) software / scripts / examples / etc., so you can try things out. 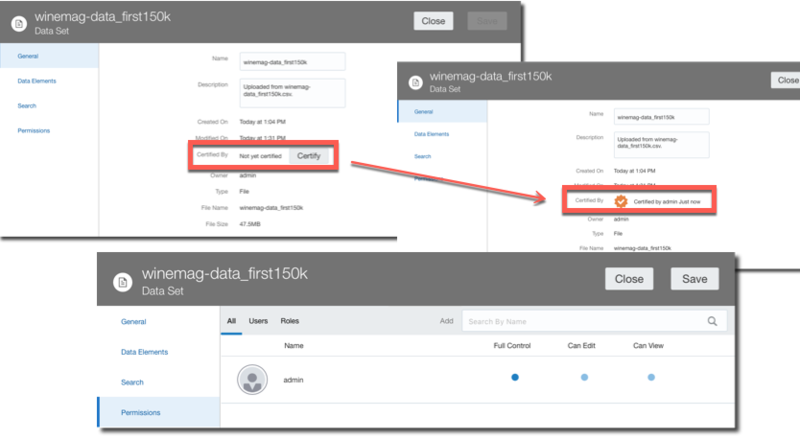 You should create an account … Continue reading "Trying out the Oracle Cloud Platform"
I recently detailed data load possibilities with the tools provided with Essbase under OAC here. Whilst all very usable, my thoughts turned to systems that I have worked on and how the loads currently work, which led to how you might perform incremental and / or automated loads for OAC Essbase. The OAC front end and EssCS command line tools contain a ‘clear’ option for data, but both are full data clears – there does not seem to be a partial or specifiable ‘clear’ available. The OAC front end and EssCS command line tools contain a ‘file upload’ function for (amongst other things) data, rules, and MAXL (msh) script files. Whilst the front-end operation has the ability to overwrite existing files, the EssCS Upload facility (which would be used when trying to script a load) seemingly does not – if an attempt is made to upload a file that already exists, an error is shown. The OAC ‘Job’ facility enables a data load to be conducted with a rules file; the EssCS Dataload function (which would be used when trying to script a load) seemingly does not. 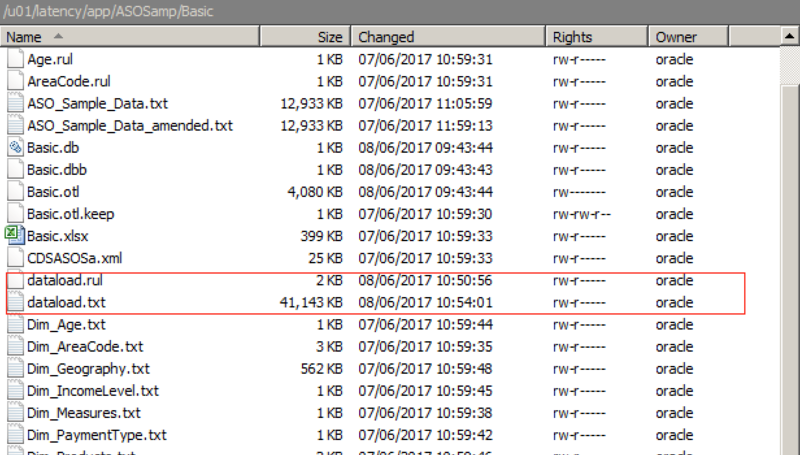 It is possible that (eg) a ‘current month’ data file could be loaded and reloaded to form an incremental load of sorts. The problem here will come if data is deleted for a particular member combination in the source from one day to the next – with no partial clear (eg, of current month data) seemingly possible, there is no way of clearing redundant values (at least for an ASO cube…for a BSO load, the ‘Clear combinations’ functionality of the load rules file can be used…although that has not yet been tested on this version). So in the case of an ASO cube, the only option using available tools would be to ensure that ‘contra’ records are added to the incremental load file. This is not ideal, as it is another process to follow in data preparation, and would also add unnecessary zeros to the cube. For these reasons, I would generally look to effect a partial clear of the ‘slice’ being loaded before proceeding with an incremental the load. The only way I can see of achieving this under OAC would be to take advantage of the fact that MAXL is available and effect the clear using alter database clear data. I may have missed something, but I see no obvious way of being able to automate this process with the on-board facilities. Even bearing in mind the above, I should caveat this section by saying getting ‘under the hood’ in this way is possibly not supported or recommended, and should only be undertaken at your own risk. By taking advantage of the availability of FTP and cron, it should be possible to script a solution that can run unattended, for full and incremental loads. Furthermore, data clears (full or partial) can be included in the same process, as could parallel buffer loading for ASO or any other MAXL-controllable process (within the confines of this version of Essbase). Note that remote connection is via the opc user, but this can be changed to oracle once connected (by using sudo su – oracle). As oracle, these files can be manually deleted…doing so means they will no longer be found by the EssCS Listfiles command or the Files screen within OAC (once refreshed). If deleted manually, new versions of the files can be re-uploaded via either of the methods detailed above (whilst an overwrite option exists in the OAC Files facility, there seems to be no such option with the EssCS Upload feature…trying to upload a file that already exists results in an error. All files are owned by the oracle user, with no access rights at all for the opc user that effects a remote connection via FTP. Now the files are in the OAC environment, control is taken up there. This copies all the files in the nominated receiving directory to the actual required location – in this case, the main ASOSamp/Basic directory. 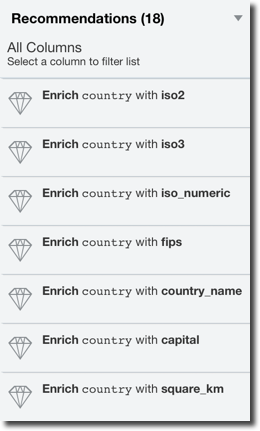 Note the use of ‘-p’ with the copy command to ensure that attributes (ie, the global ‘rw’) are retained. Once copied, the files are deleted from the receiving directory so that they are not processed again. As with the ‘local’ half of the method, the DealWithUploads.sh script file can be added to the scheduler on OAC: the existing cron entries are already held in the file /u01/app/oracle/tools/home/oracle/crontab.txt; it is a simple exercise to schedule a call to this new custom script. A routine such as this would need a good degree of refinement and hardening – the file lists for the transfers should be self-building, passwords need to be encrypted, the MAXL script should only be called if required, the posting locations for files should be content/context sensitive, etc – but in terms of feasibility testing the requirements listed above, it was successful. This approach places additional directories and files in an environment / structure that could be maintained at any time: it is therefore imperative that some form of code control / release mechanism is employed so that it can be replaced in the event of any unexpected / uncontrollable maintenance taking place on the OAC environment that could invalidate or remove it. Even once hardened, I think there is a considerable weak spot in this approach in that the rules file seemingly has to be crafted in an on-prem environment and uploaded: as I detailed here, even freshly-uploaded, working rules files error when an attempt is made to verify them. For now, I’ll keep looking for an alternative. Whilst a lot of the high-level functionality is in place around data loads, often with multiple methods, I think there are a couple of detailed functionality areas that may currently require workarounds – to my mind, the addition of the ability to select & run an msh format ‘preload’ script when running a dataload Job (eg for clears) would be useful, whilst a fully functional rules file editor strikes me as important. The fact that an FTP connection is available at all is a bonus, but because this is as a non-oracle user, it is not possible to put a file in the correct place directly - the EssCS Upload faciity does this of course, but the seeming absence of an overwrite option or an additional Delete option for EssCS) somewhat limits its usefulness at this point. But can you implement a non attended, scheduled load or incremental load routine ? Sure you can.